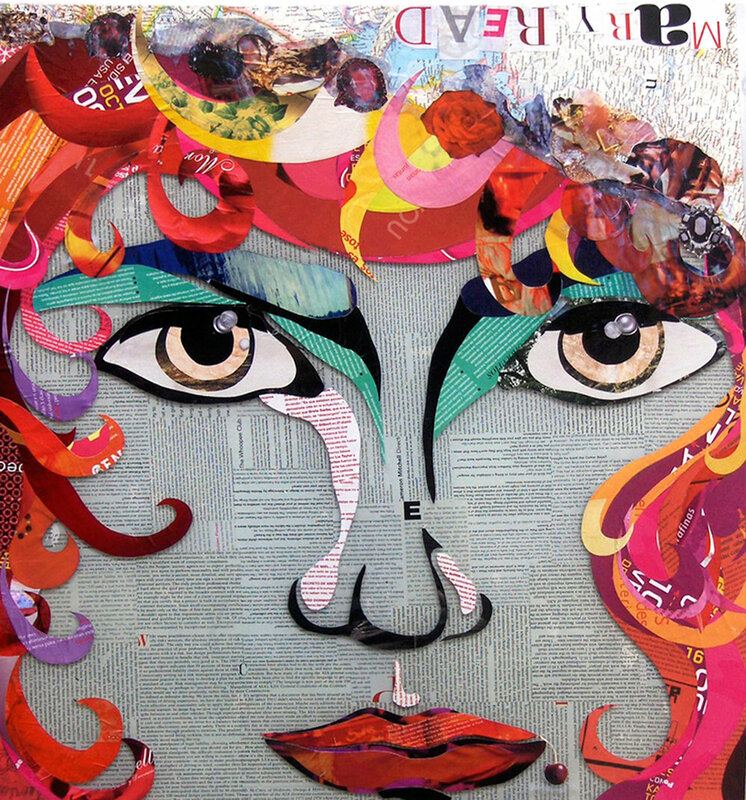 In this project, I thought about representations of women in media and the role of women in art; I designed these collages with newspapers, fashion magazines, acrylic, and plexiglass. 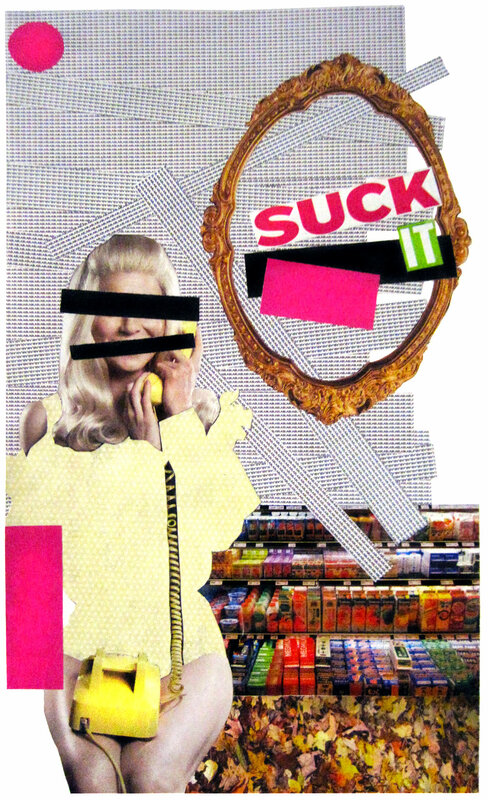 In this project, I thought about representations of women in media and the role of women in art; I designed these collages with newspapers, fashion magazines, acrylic paint, paper transfer letters, and plexiglass. No name. Collage over wood, 8,5"x11"
No name. Collage over plexiglass, 8,5"x11"
No name. Collage over canvas, 18"x24"
No name. Collage over wood, 18"x24"
Mary Read. Collage over glass, 24"x24"
No name. Collage over paper, 11"x17"
No name. Collage over layers of plexiglass, 36"x24"